“Truly great friends are hard to find, difficult to leave, and impossible to forget”. To Patricia, Anuschka and Maiky. What are my 3 girls doing right now? 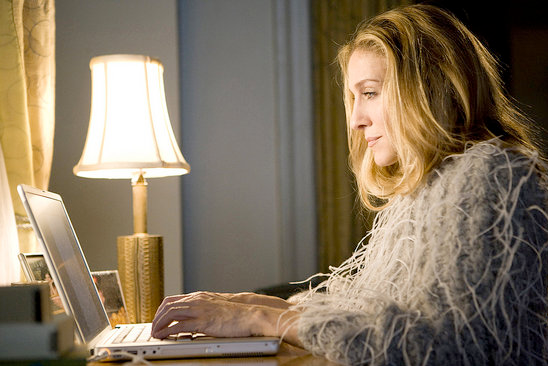 I already met some great girls and I’m happy I’m blogging! made me think more about something I miss doing. I know, nowadays you have plains, trains and automobiles. We have access to the Internet, Skype and let’s not forget the good old telephone. to have my own very close girlfriends! You can do things with your girlfriends that you cannot do with your man. How sweet he may be, it’s not the same. I can laugh with them, shop till we drop, talk for hours (until I’m being told to go to sleep…), go to the movies, cry together, give each other comfort or advise, it doesn’t matter what we do. We’ve been through a lot and helped each other with a lot. That’s what real girlfriends do. far away or close by! It’s all part of being a woman. What lovely post… i agree with you.. friends are so precious! I am doing a post on Switzerland today, and will be including a link to your wonderful blog. So glad to have met you through the blogging world! It’s so hard when you move away from friends…I have done that and it’ hard sometimes to have that same relationship that you did, day to day. But there is always the beauty of making new friends. I hope you do! Having great girlfriends really is one of the best things about being a girl…and now we get to expand our circle of friends through blogging…such a wonder! I just came over to visit from Cote Provence. So happy to meet you as Switzerland has always been on my list of one of those dream places to live and I also share your love of old silver. Looking forward to many more visits here. My girlfriends are definitely the ones who keep me going. I’m glad to know I wasn’t the only one who was having problems with the Google follow button. Yesterday was giving me fits. Hoi tja lijkt me moeilijk je vrienden achter te laten…….maar je maakt ook weer nieuwe vrienden…en heel veel blogvrienden ook toch??? fijne avond liefs Ria…. Hi Maureen! It’s true, having girlfriends is a blessing. I have just one but she’s a sister to me. 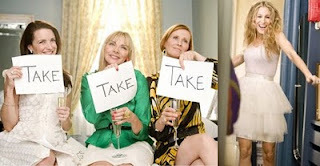 I’ve always dreamt about having more girls like the SATC party….but true friendship is not easy to find. I’ve always had more male friends, women sometimes can be so jealous-who knows why… We are all in the same boat…aren’t we??? ps. many thanks for your lovely comments!!! I’m a new follower of your fantastic blog!!! So true! And a very lovely post. Yep, I know all about having to leave friends behind. I’m living thousands of miles away from my best friend, and all my other family members. Nothing compares to being able to see them in person. The only potential benefit, is that it has made my own family…hubby and children and I…more close. We rely on eachother for everything. Have a great upcoming week! It’s one of the casualties of modern life! I miss my girls so much and look forward to our get togethers, which happen only every few months now. But we have so, so, so much fun, laughs and understanding when we do get together. Nothing like it. It is wonderful to discover your blog and meet you. I came here via Cote Provence and I agree, lovely to have the friendship of girlfriends. Look forward to coming back for a visit. You are so right…there is nothing better than true girlfriends. The ones that make you laugh so hard you have no control over yourself or ones you can call anytime day or night. Love this post…makes me want to have a sleep over weekend with my friends I grew up with. We do that about every 6 months…need to do it more often. I 100% agree. Gotta have my gal friends! What a lovely post. You are so correct that there is nothing better than true girlfriends. The ones who really know you, do not judge you, laugh with you and cry with you and stick with you through the good times and the bad times. I have three friends that I am especially close to but we now all live so far from one another and I miss our times together and the laugh until you cry episodes. Sure I have other friends locally, but they are more like acquaintances and not true and sincere friends. Oh, this post is so sweet and true! I now am missing my girlfriends after reading this post. I, too, am always living somewhere other than where I grew up and it’s hard without your best friends even with the all the devices for communicating. Talking to someone in person can never be replaced.